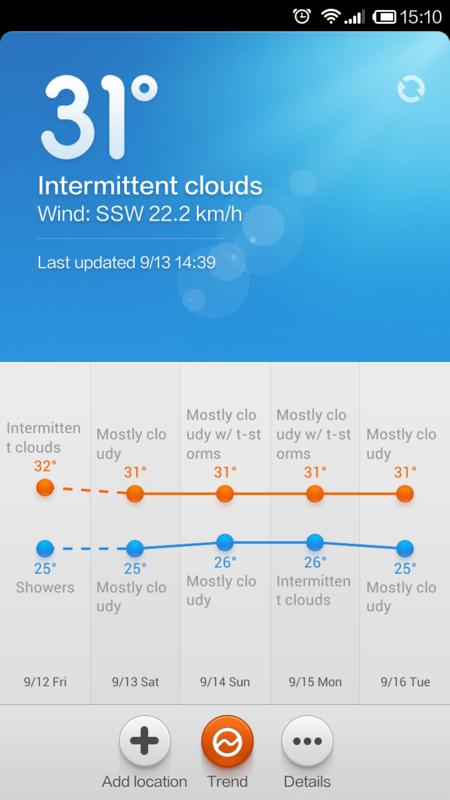 Xiaomi RedMi Note has an excellent built in Weather App for your needs. It allow you to know your local weather. You will get the current weather and the next 3 days of Outlook. It also features the temperature and type of weather at your current location. 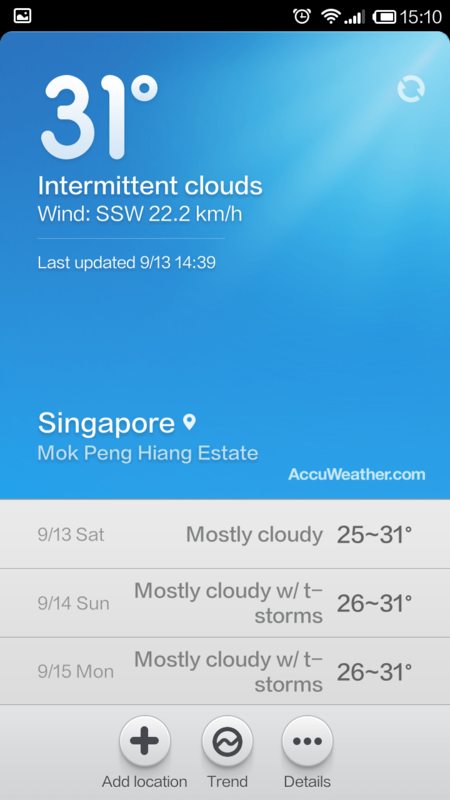 This weather app also provide you a trending of the temperatures. More updates of Xiaomi RedMi Note will be posted. Subscribe to our blog for more update.